The LEGO pieces used in the construction would stretch about 200 miles, which is the equivalent distance from Tower Bridge in London to Paris. Land Rover’s new seven-seat SUV was unveiled this week in Warwickshire, UK. Led by Duncan Titmarsh, the UK’s only LEGO Certified Professional, it took five months to construct this gigantic Tower Bridge structure. It was built at Packington Hall for the event, which is close to Land Rover’s Solihull plant, where the New Discovery will be produced. 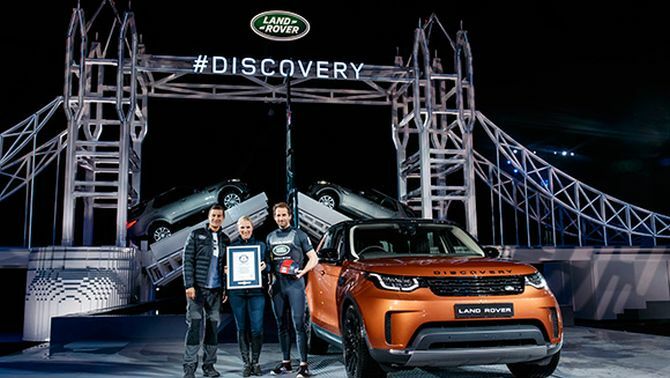 We are thrilled that Jaguar Land Rover has used LEGO bricks to add some Guinness World Record-breaking creativity to the launch of the latest Discovery. This is an epic, outstanding build that absolutely captures the imagination in a way we haven’t seen before. With LEGO bricks and some imagination you really can build anything! 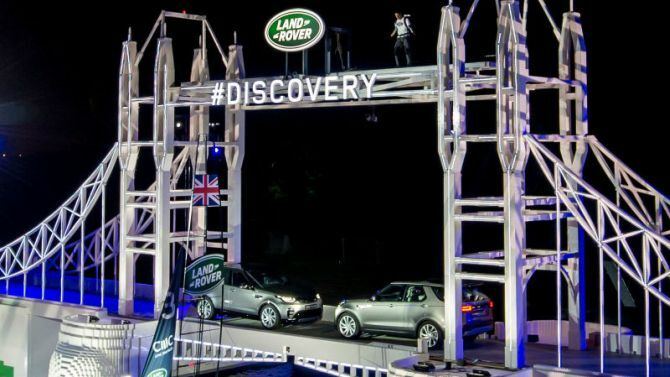 It was a star-studded launch event, where British adventurer Bear Grylls was seen jumping from the top of the huge Tower Bridge replica. 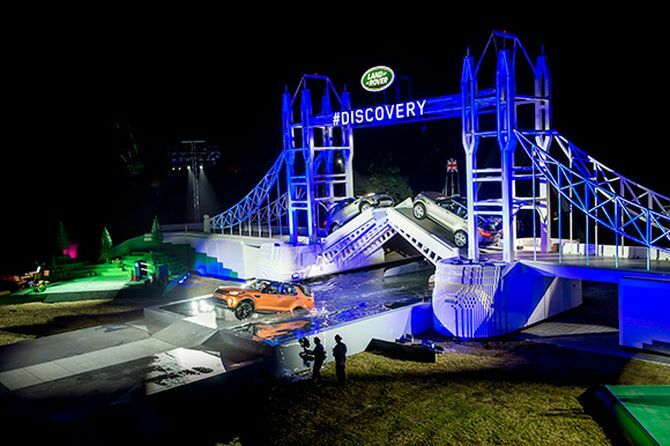 Moreover, the finale saw sailing Olympic gold medalist Sir Ben Ainslie driving the new SUV through 900mm-deep water under the bridge, while towing a LEGO replica of the Land Rover BAR boat.